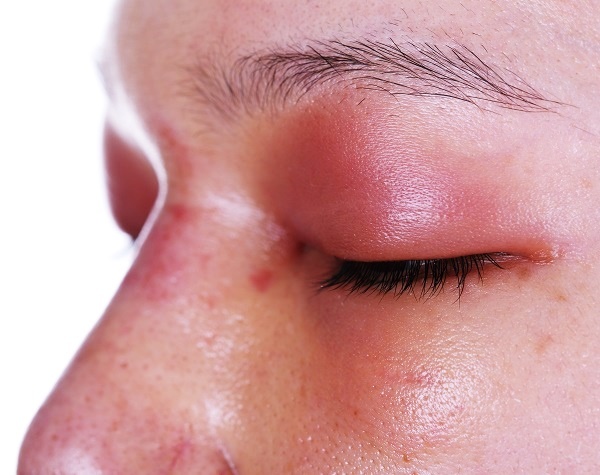 The most likely reason that your eyelids are red is that you have blepharitis. Blepharitis is an inflammation of the eyelids which typically involves the part which the eyelash grows from and, more often than not, impacts both eyelids instead of just the top or bottom. 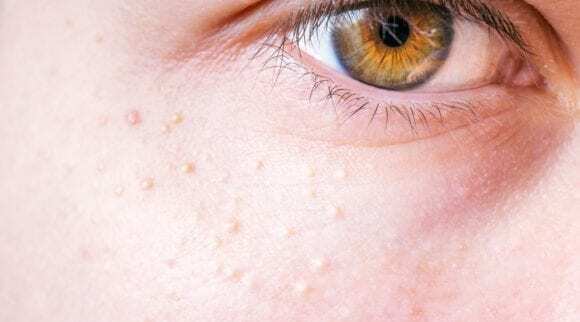 This condition is common when the small oil glands located on the base of the eyelashes become clogged, which results in a multitude of diseases and conditions which may ultimately lead to blepharitis. Blepharitis may be caused by a number of reasons which include but are not limited to a bacterial eye infection, Meibomian gland dysfunction, dry eyes, a fungal eyelid infection, or parasites (like demodex mites). Unfortunately, blepharitis is a long-term and chronic condition which is difficult to manage and treat. It is often very painful and causes great discomfort. In addition to the pain which is inflicted, it is often aesthetically unpleasing. 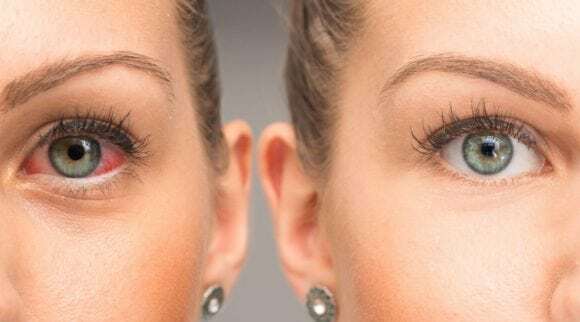 Because of the way it looks on the eyelids some people report that while they may be able to tolerate the pain with various treatment options, they will stay home from work or other activities simply because of how unsightly it appears. While blepharitis is not contagious it is not a well-known condition to the mainstream public and people may confuse it with conjunctivitis which, depending on the type, can be highly contagious. Blepharitis is also associated with other skin conditions such as ocular rosacea, seborrheic dermatitis, and psoriasis. 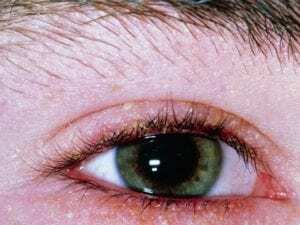 While is it completely different than conjunctivitis, it is common that a person suffering from one condition will simultaneously suffer from the other. 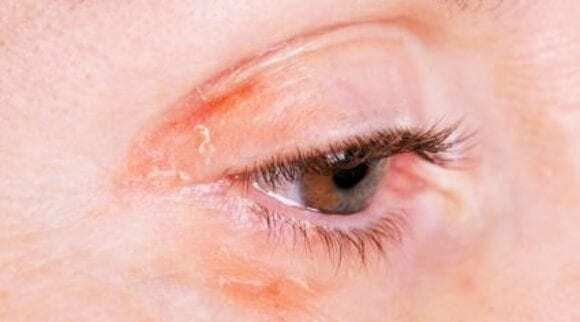 What are symptoms of blepharitis? 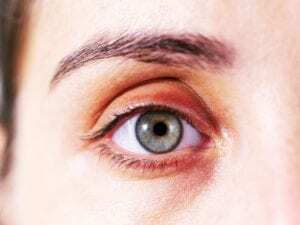 Top Related: Why Are My Eyelids Dry And How Can I Treat Them? How should blepharitis be treated? 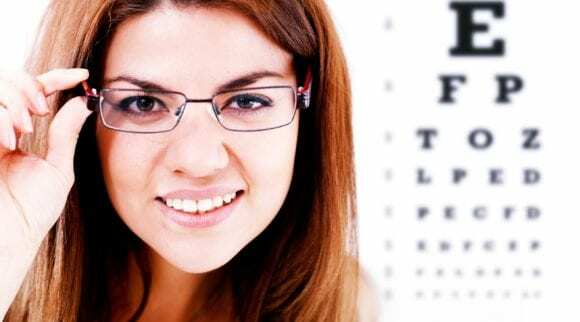 As with any medical or eye condition, the first step should be to seek medical advice from your optometrist. The reason for the visit is so the medical professional can confirm that it is indeed blepharitis, determine the underlying cause(s) of the condition, and develop a treatment plan to best fit your individual need. While every person should take the advice and treatment offered by their medical professional, the information below does provide some common treatment options which some have found successful to manage their blepharitis. The first step should be to ensure that you are getting an adequate intake of Omega-3 fatty acids. Omega-3 fatty acids are anti-inflammatory, which can reduce blepharitis symptoms, such as swelling. The fatty acids can be found in natural foods or there are supplements which a person may take. Fish oil is the most commonly-known supplement for people to get their daily Omega-3 fatty acid intake. Applying heat to the eyelids is an extremely effective method for treating blepharitis. Simply applying a warm compress eye mask can help give you relief of symptoms. Many people experiencing blepharitis will apply a warm, wet washcloth to their eyes for approximately five minutes right before bed each night and again first thing when they wake up in the morning. We feel that a mask is much easier to use and takes much less time. There are numerous eyelid scrubs available on the market which are designed for a variety of eyelid conditions. It is advised to consult with your medical professional prior to purchasing any eyelid scrub to make sure that it is designed to address your unique condition(s). 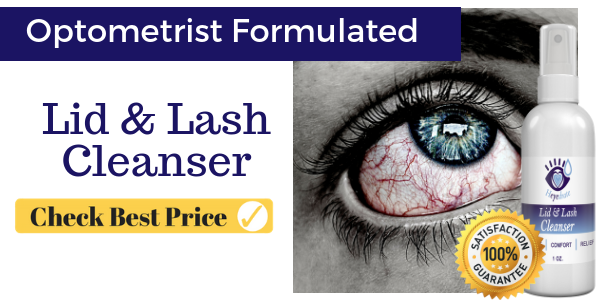 Additionally, it is imperative that if a person uses an eyelid cleanser to treat blepharitis that they use the proper technique for application. One medical professional noted that he has witnessed patients actually pull down the lid and scrub the conjunctiva instead of the lid margin. This can cause an array of other problems in addition to the blepharitis they are currently trying to treat. Make sure to follow the product’s instructions and techniques. Eyelid gland compression is also a recommended treatment option for blepharitis. A gentle compression against closed eyelids, instead of rubbing, can often relieve some of the discomfort. This should be done after the use of a warm compress eye mask. Blinking is also a treatment for blepharitis. Yes, simple blinking. A lot of forced blinking exercises the Meibomian glands which will then secrete oil. We advise our patients to concentrate on forced blinking at least five times straight about four to five times per day. 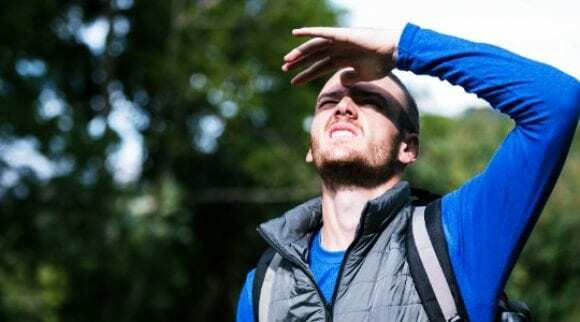 If the blepharitis is new or mild, then a combination of heat (moisture) and blinking can likely treat the condition without any other form of medical treatment. In addition to the remedies listed above, your medical professional may recommend prescriptions to treat your blepharitis. The list below exhibits medicines which may be prescribed. A topical antibiotic such as erythromycin or bacitracin. These are often prescribed if the inflammation of the eyelids has not gone down after receiving other forms of treatment. The topical antibiotics are usually applied to the closed eyelids near the lashes right before bed. This allows the medication to reach the Meibomian glands and conjunctiva as needed. An oral antibiotic is also an option. These may include tetracycline, minocycline, doxycycline, or even a Z Pak (azithromycin). Oral antibiotics are usually more effective than the topical ones listed in the previous bullet point. If a person also has rosacea with blepharitis, then it is strongly recommended that they receive the oral antibiotic treatment. A steroid may also be prescribed to treat blepharitis. Unfortunately, blepharitis is a chronic condition which means that it will flare up then go away. This cycle will continue. It is a continuous and frequent problem for many who suffer from the condition. The best advice medical professionals offer to prevent future flare-ups is to clean the eyelids on a daily basis to prevent buildup of bacteria and potential mites. As mentioned above, there are a number of eyelid scrubs available at a local drugstore or online. Based upon the severity of your condition, your doctor may prescribe prescription eyelid cleansing products which may be more effective. Taking a daily dose of Omega-3 fatty acids via supplements may also prevent future flare-ups. If there is an underlying problem which is the root cause of the blepharitis, a procedure may be conducted to insert punctual plugs in the tear drainage channels of the eyelids. This is an easy procedure which increases the volume of tears on the eyes which decrease dry eye symptoms; a pertinent variable which can cause a blepharitis flare-up. Lubricating eye drops, either over-the-counter or prescription, may also be useful in preventing flare-ups of blepharitis due to the prevention of dry eye symptoms. Some doctors recommend that patients who have moderate to severe blepharitis actually come into their office for routine cleanings for the eyes and eyelids. This is no different than routine cleanings you have with your dentist. What if you wear glasses or contacts? If you wear contacts and have a blepharitis flare-up, you need to immediately discard those contact lenses and stop wearing contacts until it has been successfully treated and all symptoms are gone. Regardless of whether you have blepharitis or not, if you’re a contact lens wearer you should always have a pair of glasses or two you can wear instead of contact lenses. If you continue wearing contacts lenses while having blepharitis it could lead to excessive inflammation, bacteria growth, and other debris sticking to your lenses resulting in conjunctivitis or more serious conditions. One of the most amazing things about the Heyedrate brand is that they have a charitable mission behind their business. For every product that they sell, they give a portion of profits back to someone in need of eye care. This particular product eliminates contaminants and neutralizes inflammation. It does this while remaining a 100% organic and 100% vegan product that is alcohol free and fragrance free. This is an easy to use formula. First, clean the area that you wish to use the product on with water. Then spray on the cleanser. There is no need to wash it off; you can allow it to air dry. This product can be used on the eyes and eyelids, or anywhere else on your skin where you need extra cleaning. This is a fast-acting formula that gets to work as soon as you apply it to the skin. The key ingredients of this cleansing spray include hypochlorous acid, electrolyzed water, and sodium chloride. All of those ingredients work together to reduce the contaminants and microorganisms around the eye. The ingredients are non-irritating, hypoallergenic, and very refreshing. It’s one of the reasons this has become such a popular product on the market today. If you know that your issues are being caused by debris or other issues like styes, blepharitis, or meibomian gland dysfunction, this is an excellent product to choose. This product can even help with symptoms of rosacea and eye irritation. It’s something you can use after you remove your make-up to ensure there is no leftover bacteria or other issues. It’s also useful to relieve discomfort associated with contact lenses. And if you’ve had cataract surgery, this is a great product to utilize. This product stands out among the others first because of the charitable mission of the company. You can feel good knowing that a part of your purchase is going towards helping someone’s vision who is in need. Further, this cleanser has been formulated to help with some of the most challenging eye and eyelid conditions. For those reasons, this cleansing spray is a great first choice. This product offers both revitalizing and rejuvenating features which contain no harsh chemicals. It provides relief from scratchy, dry, or itchy eyes and it is specifically designed for persons who suffer from blepharitis or demodex. The tree oil will assist in removing allergens, make-up debris, and other sources of the inflammation. The oil is absolutely cruelty-free, gluten-free, and sulfate- and paraben-free. It is also vegan-friendly! All ingredients are 100% natural, non-toxic, and designed to make your eyes feel better and even look better! To use, just wash your hands and remove contacts (if applicable), place two drops on a cotton swab, and carefully scrub the base of the lashes. It is recommended to use on a nightly basis right before you go to bed. As you’ve been reading through this article, you have noticed that the term “eyelid wipes” has been mentioned numerous times. Eyelid wipes are effective in both treating and preventing red eyelids and other conditions associated with the eyelids. This product is very gentle and effective and is also free of preservatives, alcohol, and other things which may irritate the eyes. The eyes are extremely delicate requiring a product, as such, which will not cause further complications from your current condition. The eyelid wipes allow you to get oil, dirt, dust, crust, ocular secretions, and even foreign objects out of your eye area very easily. Simply open the package, remove a wipe, and swipe across your eyelids. Make sure to only use the wipes on the eyelids. Do not apply the wipes directly to the eyes themselves. Persons suffering from either conjunctivitis (aka pink-eye) or blepharitis will find these wipes extremely useful and effective for providing relief. The wipes are able to prevent bacterial overgrowth and prevent worsening of current conditions. This allows for the eyes to start to heal naturally. Even if you don’t have a current condition which requires treatment, these wipes can still be utilized to remove make-up. 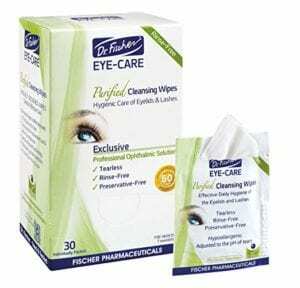 The wipes effectively remove make-up around your eyes without causing any pain or irritation. In addition to removing make-up, the wipes can also be used to reduce eye strain and fatigue; typically caused by too much “screen time.” They are ideal to keep at your office to bring out and use whenever you feel like your eyes have been strained by staring at the computer monitor for too long. 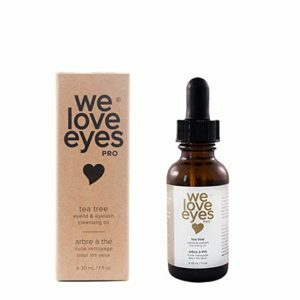 This product is perfect for fast swollen eyelid treatment as well as to alleviate symptoms of eyelid dermatitis as it’s a moisturizer with clinically-proved ingredients to naturally heal areas including the face, eyelids, neck, and décolleté areas. The natural healing property contained in this product is raw honey. Raw honey is an antibiotic and moisturizer for your skin, so you are receiving double the benefits in just one product! Use the cream by gently applying it to your eyelids or other areas which may be damaged or simply need moisturizing by using small, circular motions. Only small amounts are needed and if you over-apply the cream it may take longer to absorb. The product will leave your skin feeling ultra-hydrated. The beeswax contained in the product improves elasticity, softness, and suppleness of your skin. What’s even better is that it is directly absorbed by your skin so it won’t clog any pores. 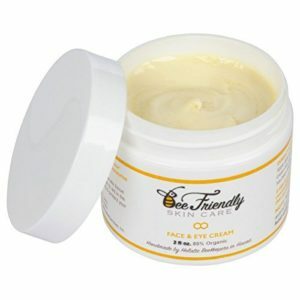 This cream is very delicate and is designed to minimize the appearance of puffy, tired, and/or aging eyes. After the cream is applied, the user will feel an immediate sensation of freshness! Some of the cream’s key ingredients include lavender, rosemary, and cypress oils which decongest fluid build-up and minimize lines around the eyes. The circulation is also increased around the eye area once the cream has been applied. This product is also effective at alleviating dark circles and under-eye bumps. The de-stressing sensation from the cream brightens the eyelids and other areas around the eyes and diminishes appearances of dark circles providing for a more alert and “awake” appearance. Under-eye bumps are also minimized. Rosemary, a primary ingredient found in the cream, increases toning properties around the eye area. Additionally, the rosemary is an essential part of reducing visible signs of fatigue and providing for a more youthful appearance. Just because you are tired doesn’t mean that your eyes have to show it! To apply the product, use it in the morning, at night, or whenever you need to remove make-up. Simply apply a thin layer of the cream to both the lip and eye area. Make sure to keep your eyes closed during the application process to give the rosemary fragrance time to dissipate. If you’re looking for quick fix to alleviate a fatigued look, apply a thick layer of cream to the eyelids, keep your eyes closed for a few moments, and let sit for 15 minutes then massage in any excess cream remaining. 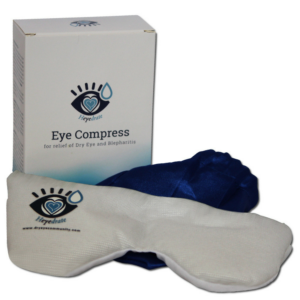 This microwavable warm compress is perfect for anyone who is experiencing any type of eye discomfort. It allows for immediate relief of red or dry eyes, and alleviates irritation. A hot compress is sometimes able to provide relief to eye conditions when wipes and drops cannot. To use, simply put the Heyedrate warm compress mask in the microwave for 20 seconds on the high setting. Make sure not to heat it for more than 30 seconds. Touch the mask carefully to test the temperature. Find a place where you can relax. Next, place the heated mask over your closed eyelids for approximately 10 minutes. 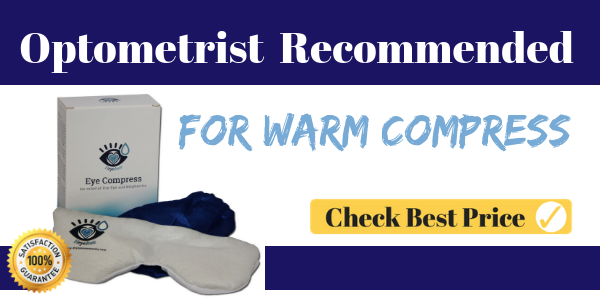 The heated compress pad is able to treat a number of conditions resulting from aging, contact lenses, digital screens, dry air, and puffiness. It also provides soothing relief for more serious symptoms such as styes, blepharitis, sinus pressure, Melbomian gland dysfunction, and muscle spasms. These cooling pads are designed to provide hydration therapy around the eye area leading to the reduction of wrinkles and fine lines. The product is efficient at reducing puffiness and redness in addition to reducing wrinkles and fine lines. The cooling pads are 100% non-irritating and will leave the user with a more youthful appearance after use. To use, clean the area around the eyes thoroughly making sure to remove any debris; this includes the removal of make-up as well. Open one of the foil packs and immediately apply one pad beneath each eye. Make sure to evenly apply so there is a good amount of contact with the skin. Leave the pad on each area for 20 minutes and then dispose of the pad afterwards. These pads are not reusable and should be discarded immediately after use. 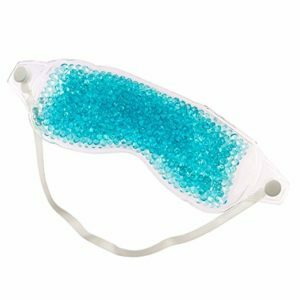 The Thera Pearl Eye Mask has been designed to treat a number of conditions such as dry eyes, eye problems associated with allergies, headaches, allergies, red eyelids, and puffy/swollen eyes. This product is different from other masks designed to treat eye conditions as it affords the user the ability to choose either heating or cooling therapy. This is perfect as some doctors may prescribe or recommend one therapy type over the other or may rotate the treatments. Each type of therapy provides unique benefits. The benefits of each are listed below. To use for cold therapy, place it in the freezer for at least two hours prior to use for best results. For heating therapy, microwave the mask for 10 to 15 seconds, depending on the wattage of your microwave. Apply the mask for approximately 20 minutes. The mask can be used for either heating or cooling therapy. For cooling therapy, put the mask into the refrigerator for approximately 30 minutes to cool. For warming therapy, the mask needs to soak in warm water for approximately two minutes. Unlike other therapy masks, this specific product is not to be put into the microwave under any circumstance. If this mask is inserted into the microwave it will likely ruin the product. Once the mask is ready, it can be worn for approximately 5 to 10 minutes. 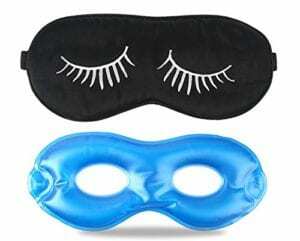 In addition to the mask, persons who purchase this product will also receive a pair of ear plugs which will aid in a helping them get rest and relaxation. The mask allows for oxygen to get to the eyes which also aids in relieving symptoms associated with dry eyes. It is very lightweight and comfortable to wear. Finally, the mask is elastic, allowing for easy adjustments, and stays on all night regardless if you are someone who tosses and turns throughout the night. There are many treatment and prevention options available for persons who suffer from red eyes, or also known as blepharitis. 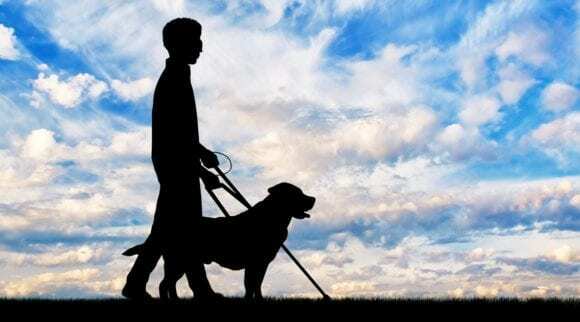 While the above-mentioned treatment options have all been demonstrated to be effective, you should also receive medical advice from your doctor or optometrist for their guidance and recommendations of how to best treat your condition.